What Is a Fractured Tooth? Home / Articles / What Is a Fractured Tooth? We’ve probably all heard of root canal therapy, a split tooth, tooth pain, and tooth decay, but what about a tooth fracture? 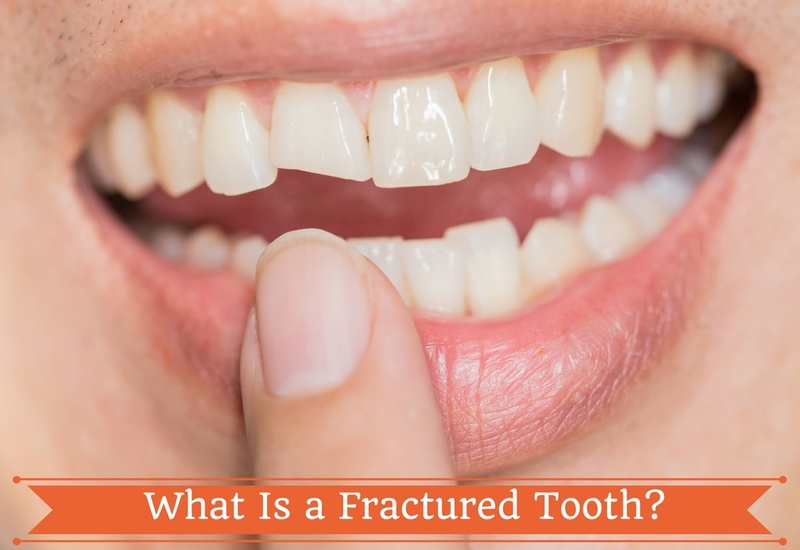 The word “fracture” is a common one when dealing with health issues relating to our bones, but what does it mean when we’re talking about our teeth? Learn more about what tooth fractures are, how they can happen, and what to do if you experience this potentially serious dental health issue. When it comes to your teeth, most people use the words “fracture” and “break” interchangeably. Dentists tend to say “fracture” when referring to a tooth that has a portion broken off in some part or another or a vertical root fracture. 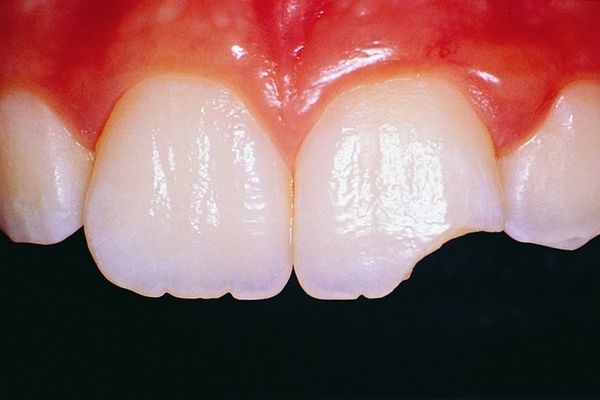 This is different from a crack in the tooth, or a split tooth, which is a split that leaves the tooth intact but no longer in one unbroken piece. A fractured tooth is now in more than one piece, with the broken-off pieces typically no longer attached to the tooth in any way. This means that any time you break off a part of a tooth, it’s technically a fracture. Even a tiny chip sustained when bringing a heavy glass up to your mouth too quickly can be considered a fracture, though, as we’ll discuss below, this isn’t a very serious injury. Some fractures can be quite serious, leaving the remaining part of the tooth jagged and very sensitive or painful. That’s because dramatic fractures leave the interior parts of the teeth exposed, which isn’t natural and should be fixed as soon as possible. Fractures on the front-most teeth, the canines and incisors, are usually pretty obvious unless they’re just tiny chips. You’ll notice that your tooth is missing a chunk and that the remaining part of the tooth is sharp or jagged in an unnatural way. Depending on how the tooth got fractured in the first place, you may see a clean break, a slight curve to the break or an uneven edge. These edges can actually be quite sharp and may cause pain on the interior of your mouth. Fractures on the back teeth, the molars and premolars, may not be as obvious, especially on the top jaw, which is harder to see in the mirror. However, you’ll probably be able to feel the difference and the sharp edge of the broken tooth with your tongue. Though some fractures can happen gradually without your notice, most happen quickly. Chances are that you’re going to notice if you’ve fractured a tooth. Our teeth are hard enough to withstand a good amount of force in most cases but, like our bones, they aren’t unbreakable. You will likely experience some kind of impact or injury that causes the tooth to break. The broken fragment of your tooth may even remain in your mouth after the accident. If you broke a tooth as the result of a significant amount of trauma to the head, you may not remember the exact event that led to you fracturing a tooth, but you’ll probably notice the break when you look in the mirror. Everything from head impacts against the steering wheel during a car accident or biting down on something too hard can cause sudden tooth fractures. These are usually the most noticeable kind and, depending on how severe the incident was, can result in damage to more than one tooth. The slow, surprise fracture is usually the result of some sort of untreated dental issue that weakens the teeth and results in a fracture. For example, if you have a cracked tooth, it may eventually fracture as the result of repeated stress. This is part of the reason why it’s so important to seek dental care sooner rather than later. 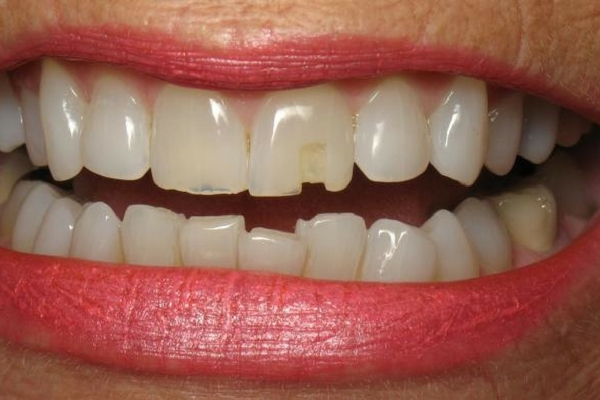 In these cases, you may notice the fracture when a piece of your tooth randomly comes loose in your mouth or when you look in the mirror and notice that your smile isn’t as orderly as it was yesterday. If you are generally in good dental health and see a dentist for regular X-rays and checkups, there is very little chance that you’ll suffer this kind of fracture. This is a fairly rare cause of dental fractures; most are the result of a trauma of some sort. There are different degrees of severity associated with dental fractures so there can be a few different ways to approach the situation. Your biggest decision in the immediate aftermath of a tooth fracture is whether to go to an emergency dentist or not. In most cases, you should get dental care as soon as possible when you fracture a tooth, especially if you’ve sustained damage to other teeth or other parts of your mouth, especially the gums and tongue. However, there are some circumstances in which emergency care isn’t warranted. As we outlined above, any break in the tooth enamel that results in the loss of a part of the tooth can be considered a fracture. This means that small chips are considered fractures as well. However, these very minor fractures don’t necessarily require immediate care if they’re the only dental issue at hand. You should see a dentist soon because chips can be irritating to the delicate skin tissue inside your mouth and can also gradually get worse over time, but you don’t need to rush to urgent care. A chipped tooth usually isn’t noticeable unless you’re looking closely. That’s how minor of a fracture we’re talking about here. Anything more severe than that usually calls for immediate care, especially if the tooth is broken so far as to reveal dentin or pulp inside. If your tooth is bleeding or is noticeably missing a chunk, you need to go to an emergency dentist. Cover the broken tooth with orthodontic wax or an over-the-counter temporary sealant if it really hurts, but don’t use this as an excuse to delay treatment.